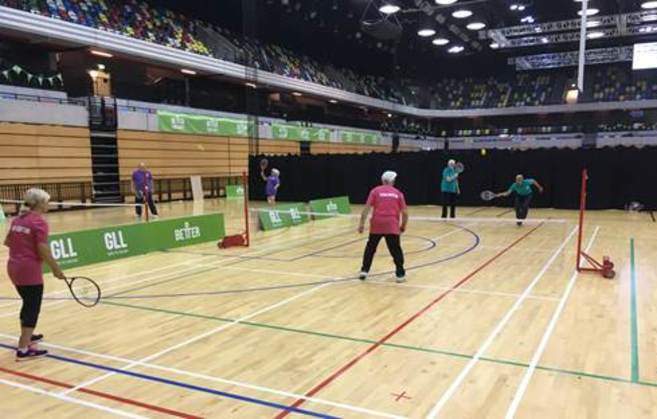 The event (for people aged 55+) saw 700 participants from 22 Better partnerships from London and beyond (as far as Rugby) compete in 8 sports – badminton, short tennis, table tennis, cycling, short mat bowls, dominoes, darts and swimming. 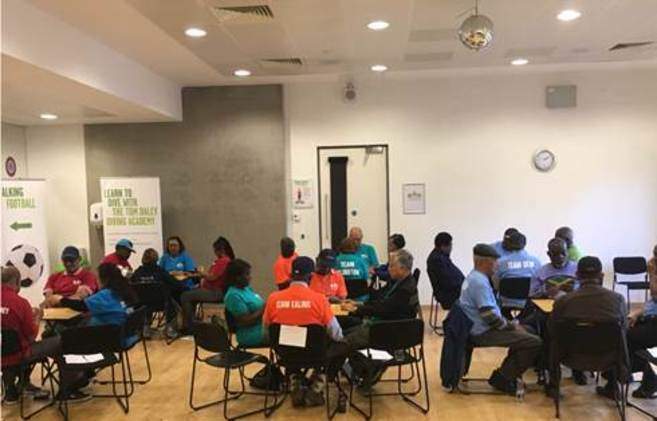 The Islington team were selected from people who regularly attend our Better Get Together Club session at Sobell Leisure Centre on Tuesdays which is for people aged 60+ and is run in partnership with Age UK Islington. This session has just reached a weekly high of 52 attendees and excitement for the Club Games had been building over the past couple of months. We had 24 people competing for Islington on the day across 6 different sports. A further 6 people travelled on the team coach from Sobell and supported the team throughout the day. Our short mat bowls team who were led on the day by Mark Antoniewicz from Arsenal in the Community. 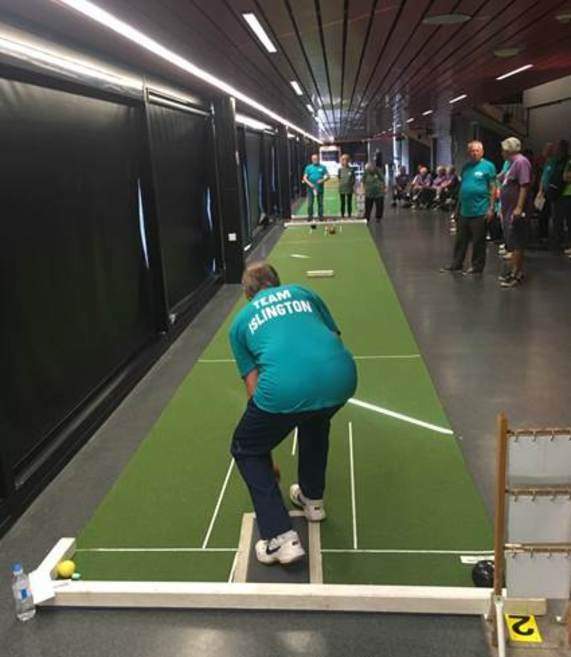 In Islington, there are bowls sessions every working day of the week and we even entered an additional non-scoring team too. Our first team were our stand out performers across all sports and narrowly lost in the final on the last bowl. Our dominoes team also fared well, finishing in 5th place. A special mention goes out to Mary who made her Club Games debut at the age of 82 in our short tennis team. 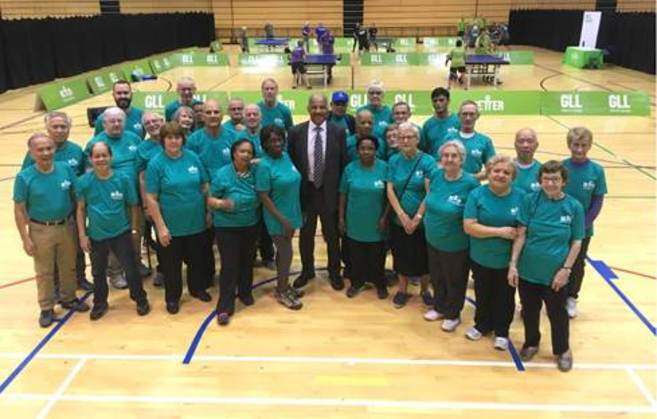 Our eldest Better Get Together participant George was unable to make the Games though as he was at home celebrating his 96th birthday with his family! We finished in 13th place overall, up 4 positions and 86 points from last year. Club Games lead Mike Bishop thanked everyone for their efforts including Better staff members, Daniel Bank and Tina Baker. Mr Bishop went on to say “This year was my first effort in recruiting a Club Games team and my aim for next year will be to finish in the top 10 and to enter all 8 sports.” The future is looking bright for Islington Sport in youth competitions all the way up to senior events like Club Games.